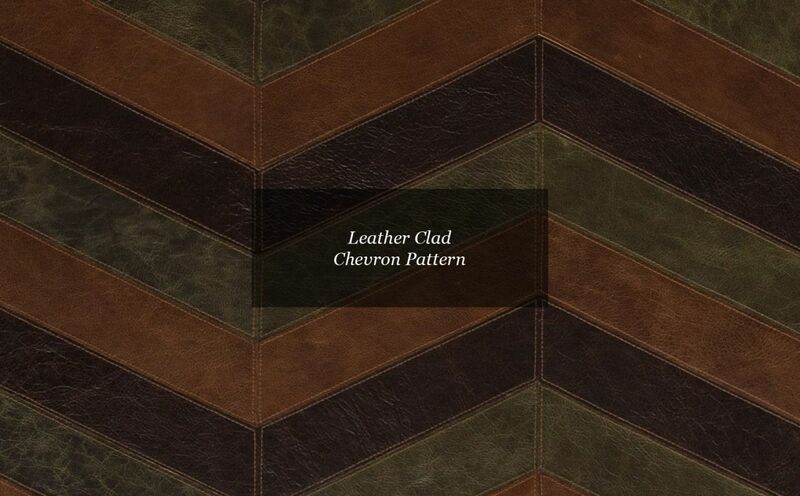 Chevron pattern has been around since ancient Greece, which is the most celebrated of all leather cladding patterns. The beautiful metered zig-zag lines in a chevron pattern, made with an unobtrusive top stitch detailing, create an endless combination of colours, finishes and textures. The beauty of a leather-clad piece lies in its graceful ageing. Each time it is used, it takes on a little more from its owner's personality. Handcrafted by our artisans, this chevron patterned headboard will add that desired texture and warmth to your bedroom. 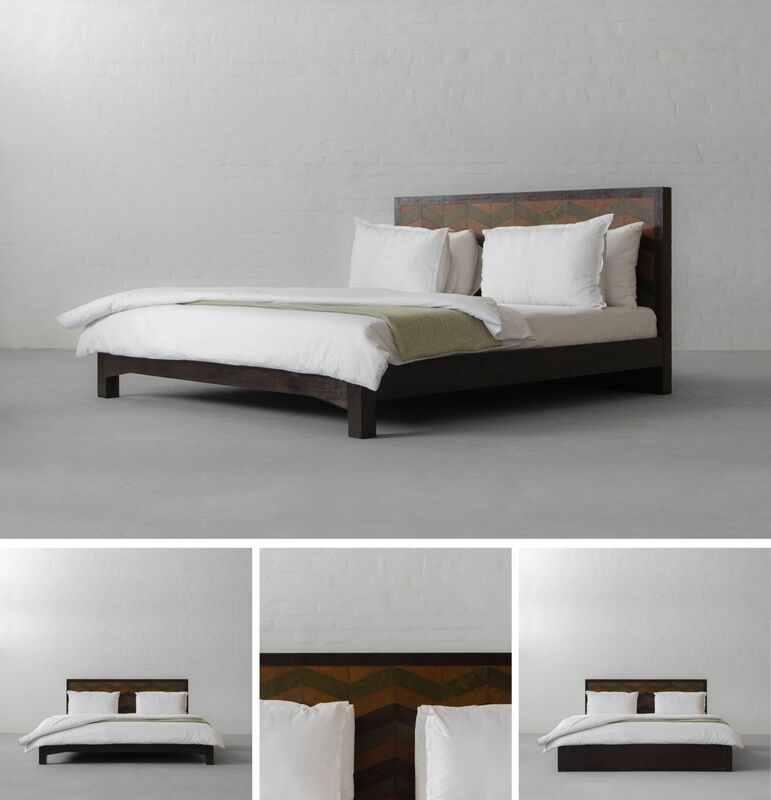 The headboard with top stitch detail resting on platform wooden bed frame or storage bed with side drawers gives this design a straight-line contemporary look with a touch of uniqueness. 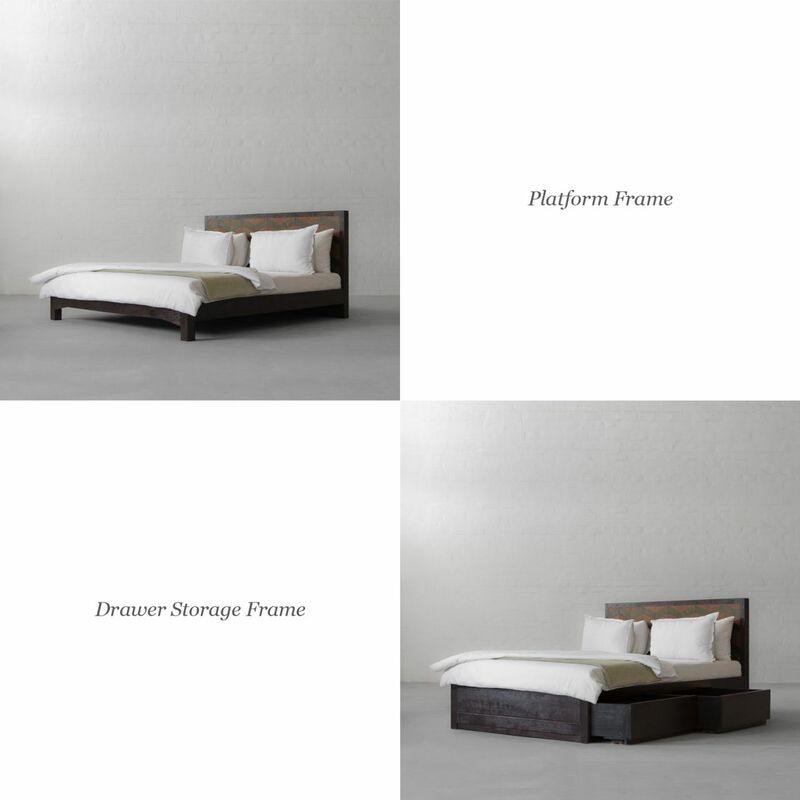 Add a contemporary touch to your space by choosing our Edward headboard with platform frame or add an element of utility with our drawer storage frame.